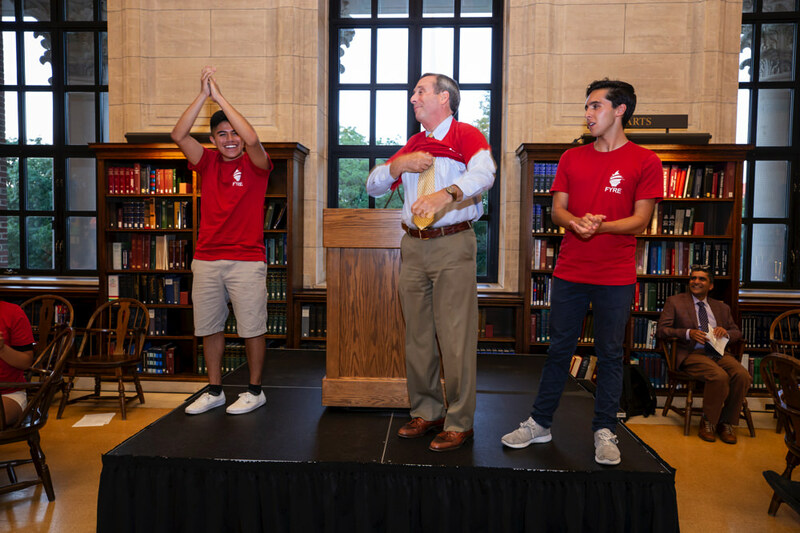 Last Thursday, University President Lawrence Bacow welcomed his first group of Harvard undergraduates, about 100 participants in the new First-Year Retreat and Experience (FYRE), a four-day pre-orientation program for first-generation, low-income, and other students not traditionally represented at Harvard. Harvard is a place of “insurmountable opportunity,” he told them. “If you don’t know where to go, just ask. 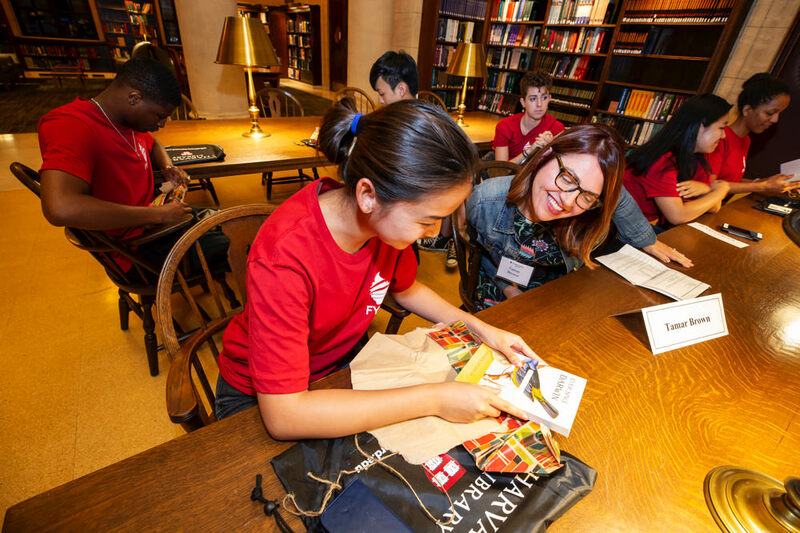 Everybody is here to help you.” The first-years sat anxiously around tables in the Loker Reading Room of Widener Library with their FYRE “families” and upperclassman student leaders, each with a neatly wrapped book chosen by a Harvard professor, staff member, or graduate. FYRE’s inaugural year reflects Harvard’s recent interest in better supporting low-income undergraduates. Since the start of its Financial-Aid Initiative, the policy that makes attendance at the College free for low-income and some middle-income students, the share of students who are the first in their families to go to college has grown. First-generation students represented 17 percent of the admitted class of 2022. At the same time, the experience of first-generation students at Harvard and elsewhere has shown that merely being admitted is not enough; schools also need to help those students transition to college-level academics and social life, as some of Harvard’s peer universities have done through multiweek bridge programs. Thursday’s event also marked the start of the First-Year Librarians (FYL) program, which pairs each of the students with a University librarian who will introduce them to the library system, and the skills needed to conduct research. A librarian from the program sat at each of the student tables. Sarah Thomas, vice president of the Harvard Library, spoke about her own story, from a small mill town in Massachusetts with a one-room library to running Harvard’s library system. “I want you to own these spaces,” she said.